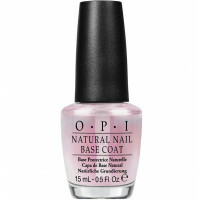 Using a liner brush, apply two coats of OPI Nail Lacquer Toying with Trouble in a wide U shape at the base of the nail. 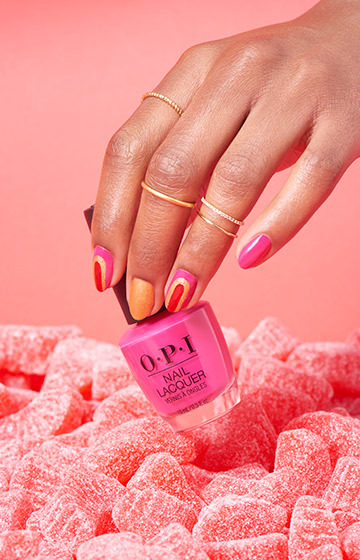 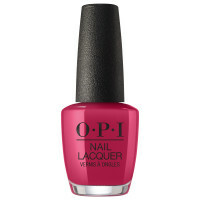 Apply two coats of OPI Nail Lacquer Candied Kingdom in a slim U shape at the tip of the nail. 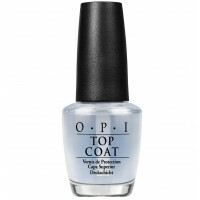 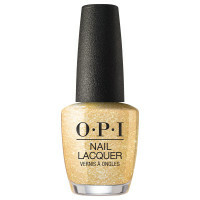 Apply two coats of OPI Nail Lacquer Dazzling Dew Drop to fill in the negative space.